The Erdapfel, which roughly translates to "earth apple" from German, wasn't the first globe created, but it's believed that it is the oldest surviving 3-D model of Earth. The Erdapfel is also known as the Behaim Globe, named for its creator Martin Behaim. 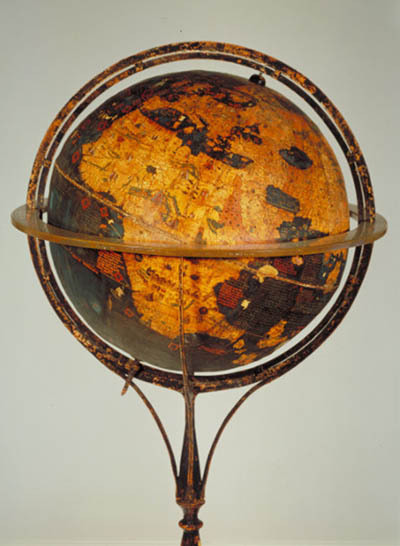 Though it was impressive for its time, the Behaim Globe was proved to be inaccurate soon after its creation. Christopher Columbus brought word of the Americas back to Europe shortly after it was finished.